Having available Dollars, Euros or British Pounds is recommendable. It is recommended that travelers pay special attention to their personal security. Night travels should be avoided. It is advisable bearing a copy of the identity documents and small amount of money. The level of crime and thefts is greater in the large cities and the tourist centers. Homosexuality is illegal in Uganda and is subject to prosecution. 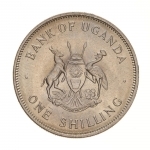 There is no limit to the amount of currency you can carry with you when entering Uganda. The goods for personal use, including 200 cigarettes, 0.5 pound tobacco, and 1 L alcohol, can be imported duty free. Foreign currency export – without restriction, provided it is to the amount declared at entry. Export of hunting trophies – with special permission. Bad road network. Special attention should be taken when travelling with a motor vehicle at night. Both international and Bulgarian driving license is required. The typical for Africa low level of heal care. Water is not potable and is used for washing only after boiled. Detailed up-to-date information about the need of immunization, the types of vaccines, and the issuing of immunization certificates to Bulgarian citizens for a visit to the country can be obtained in advance from the National Center of Infectious and Parasitic Diseases, at address: Sofia, 26, Yanko Sakazov Blvd., by calling tel. : 02/944-69-99, ext. 221, as well as on its website: www.ncipd.org. The official name of the country is the Republic of Uganda – governed by a president and its fundamental law is the republican constitution. The voting age is 18. Ranked among the countries in Africa with the fastest growing economies, Uganda has stable infrastructure that has led to a surge of international tourists. Uganda has Subtropical Climate. The rain periods are from December to February and from June to August. The average daily temperature in the period December-February is 29oC. In the period June-August the temperatures are around 27oC. The greater intake of fluids and food low on fat, as well as the avoiding of alcohol, is advisable during the hot months.